This may be Earth’s oldest rock—and it was collected on the moon « Adafruit Industries – Makers, hackers, artists, designers and engineers! Great read from National Geographic. 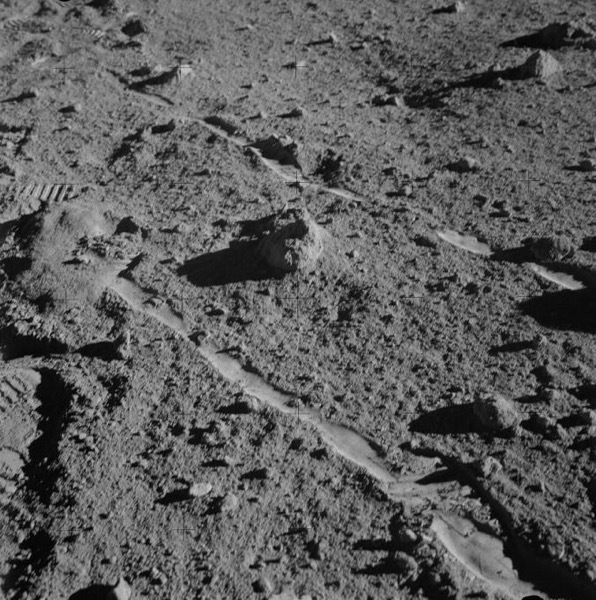 Scientists may have just found the oldest intact Earth rock—on the moon. A study published Thursday in Earth and Planetary Science Letters makes the case that one of the rocks collected by Apollo 14 astronauts in 1971 contains a fragment of Earth’s ancient crust, dating back more than 4.011 billion years. It’s possible that the fragment formed in a weirdly water-rich pocket of magma deep within the ancient moon. But the study authors think it’s likelier that the rock formed within our planet’s crust and got jettisoned to the moon by one of the many meteor impacts that bombarded early Earth. Read more about the Apollo 14 mission and crew that collected the rock sample. 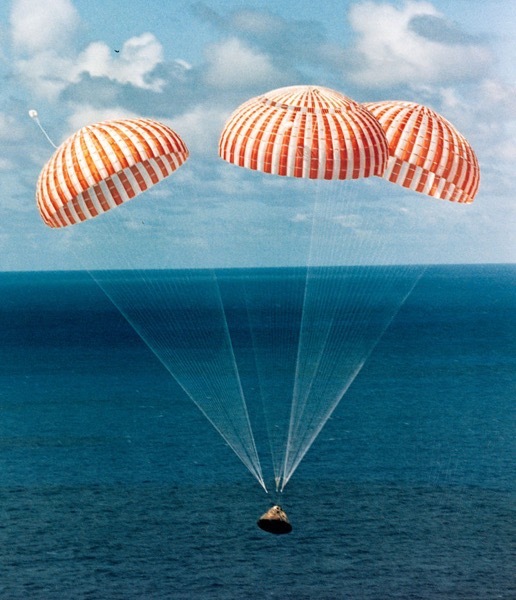 The below image (via wikipedia) is of the Apollo 14 return landing, a ‘splashdown’ in the South Pacific. Aren’t those parachutes gorgeous?